Are we missing anything that would help you connect with the Event Espresso community? Building a relationship is about more than just connecting to someone else’s online profile. You might have 500+ friends on Facebook or the same number of connections on Linkedin, but do you connect with those people on a daily basis about how to grow your business? Quit “liking” or “poking” old friends; connect with the people and organizations who are working on the same projects and have the same goals as you do. That’s a real business relationship. 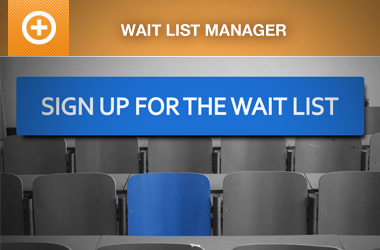 Do you want to know how Event Espresso users can process 80,000 registrations in a single month or $35,000 in 48 hours? You’re not going to find that by watching your news feed on Facebook. You’ll learn more important ways on how make your events more successful by engaging with the Event Espresso community than any other source. Do you want your friends to “like” you, or do you want your customers to like you (for example, by attending your events)? You might have a thousand points of expertise on your Linkedin profile and your resume might be three pages long, but those aren’t any good to the wrong audience. You’re using Event Espresso and your business is similar to hundreds of other businesses. The Event Espresso community will value your experience and skills the most. Join the discussion and build your own brand today. Event Espresso probably has more features than your local coffee shop has flavors. But imagine how many combinations you can create with all the coffee flavors or Event Espresso features? Building Event Espresso as a plugin for WordPress also allows you to use a variety of other plugins and themes, but which ones do other people use? There is a wealth of information available among the thousands of Event Espresso users, we just need to ask the right questions and encourage each other to share the right answers. What questions do you have and what insight can you give? What would you like to learn more about? Organizing, managing and promoting events is an ever-changing job and there might be a thousand different ways to do something. But if you had the chance to ask someone else who has been there, would you take the opportunity? You might be surprised at what other people know and how it can expand your knowledge. We also can’t read your mind about what you want to know, so the only way for anyone to help you is to ask. At Event Espresso we ask a lot of questions each day. We ask each person of the team questions about technical issues or how we can better serve our customers; we ask customers each day about how they use Event Espresso and how we can improve our events plugin; and we ask third-party developers and mentors how to deal with the challenges of growing a small business. But no matter who we ask for help, we always get the best answers from people who have walked down that path before. Our mission is to help you grow your business, and as you grow you’ll be faced with many different challenges. You should have a team in your corner who can look at the problem from outside the fight and give you advice on what your next steps could be. One of the most challenging and rewarding things you can do is help someone else be more successful. It takes a lot of courage to give your opinion that might not be accepted, but if you have real-life experience then no one else can refute your knowledge. Your simple opinion is also helpful for others who are uncertain about what path they should take. In nearly every case your participation and encouragement can help other people be more successful. How did you learn about Event Espresso? You might have had to search for an online event registration plugin for WordPress, or you might have been one of the lucky ones and had a friend recommend it to you and saved you from all the searching costs. 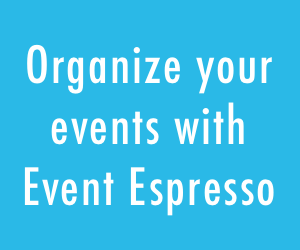 Either way, by connecting with other Event Espresso users you will have access to other event organizers who know how to solve your same problem. For example, what website hosting company should you use with Event Espresso or trust? 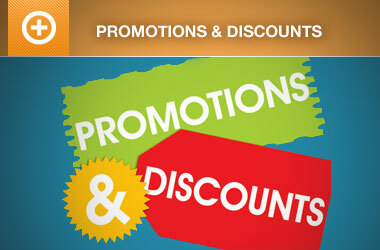 ; what merchant account do people like best and is most affordable? ; what is a good WordPress theme, etc? Event Espresso will be your best resource for answers to these and many other questions. When was the last time your old high school friend on Facebook was able to help you earn business from a new client? 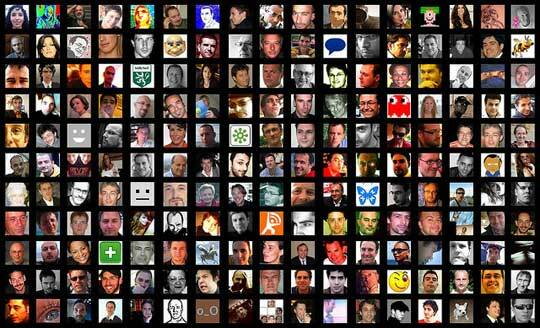 Is your Linkedin profile among the top 10% most-viewed profiles? We know that neither of those relationships or statistics are as productive in generating new business than networking with like-minded businesses and potential customers. It really is hard to find good help these days. We’re creating new ways for you to find help from other Event Espresso users, programmers, designers, marketers, etc. who can help you make your events more successful. Need to hire someone? We have a Job Board where you can post free (and paid) job listings, and we try to tweet out all the job postings to our extended network for you. We also know that the best place to find good help to manage your online event registration is by building relationships with other people who are doing the same. Event Espresso was started after Garth and Seth worked together for three years. They’ve enjoyed working together, and their work has become their hobby. Some of their best friends are now people they work with. They enjoy networking with customers, programmers, business managers, etc. Hopefully you get to do what you enjoy – we enjoy having you part of the Event Espresso community. What can you bring to the Event Espresso community and what can we all help you with? Please let me know what can i do? You can email our sales team at sales @ this domain .com and we can work with you to get your license and support figured out. We go this figured out via email.